Gronkowski spent his professional playing career with the Patriots. 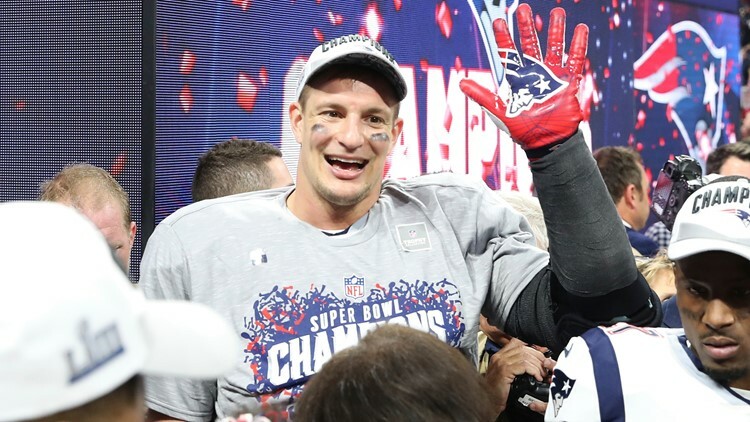 BUFFALO, N.Y. — Western New York native and New England Patriot Rob Gronkowski has announced his retirement from the NFL after 9 seasons. According to Pro Football Reference, he retires with 602 receptions for 9,024 yards and 91 receiving touchdowns in both regular season and postseason. He is a 5-time pro-bowler and 3 time Super Bowl champion. In a post on his Instagram, Gronkowski says, "It was truly an incredible honor to play for such a great established organization and able to come in to continue and contribute to keep building success. To all my current and past teammates, thank you for making each team every year special to be a part of. I will truly miss you guys. Cheers to all who have been part of this journey, cheers to the past for the incredible memories, and a HUGE cheers to the uncertain of what's next." You can view the full post below.